Isn't his a wonderful Easter graphic! This adorable Easter Bunny comes from a vintage Easter postcard greeting. I love the giant egg basket full of purple Forget-Me-Not flowers! 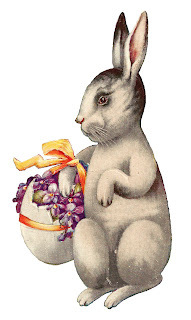 I've singled out the Easter Bunny and have given you both the .jpg and .png files. 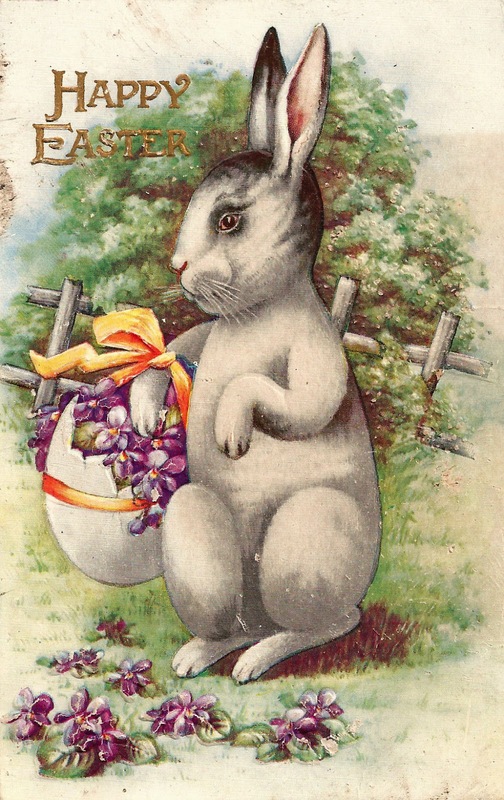 I hope you enjoy this wonderful image with your Easter projects!